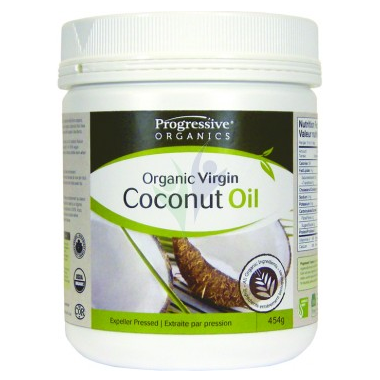 Progressive Organics Virgin Coconut Oil is made entirely from organic, GMO-free ingredients. The oil itself is derived from organic coconuts that have been grown and harvested in complete compliance with organic standards. Progressive Organics Virgin Coconut Oil retains its full coconut flavour and aroma and is an ideal addition to a raw food diet. It is 100% vegan. You can also cook with virgin coconut oil because it remains stable even when exposed to medium to high heat. Love shopping here, great prices, excellent service, and it is Canadian.